What will hatch out of the egg? Today we put a egg in water. We all had a guess to what might hatch out of the egg. Most of us guessed a penguin or turtle. 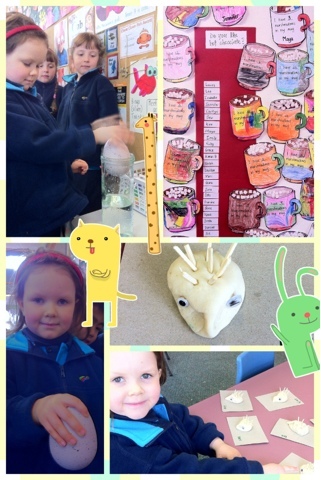 We also made salt dough hedgehogs and counted marshmallows in our hot chocolates.